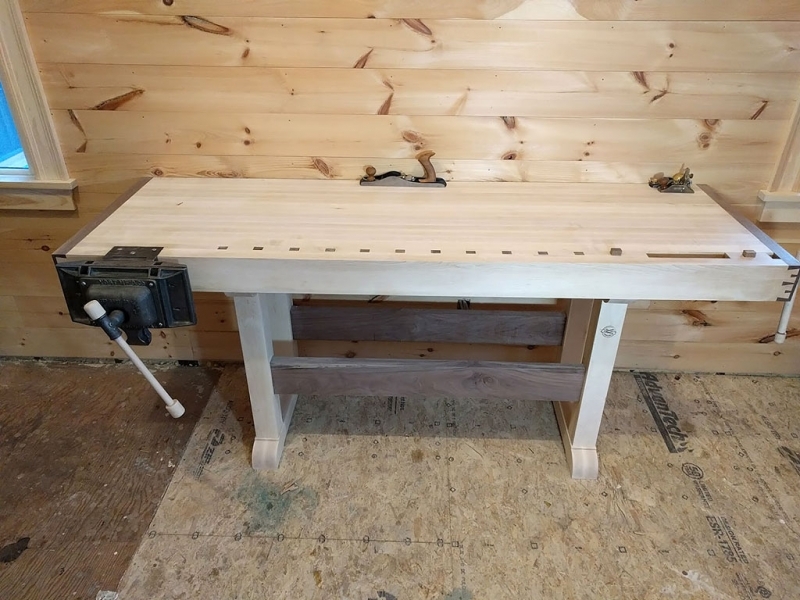 I built myself this traditionally styled workbench to inspire fine work and improve skills with hand tools. 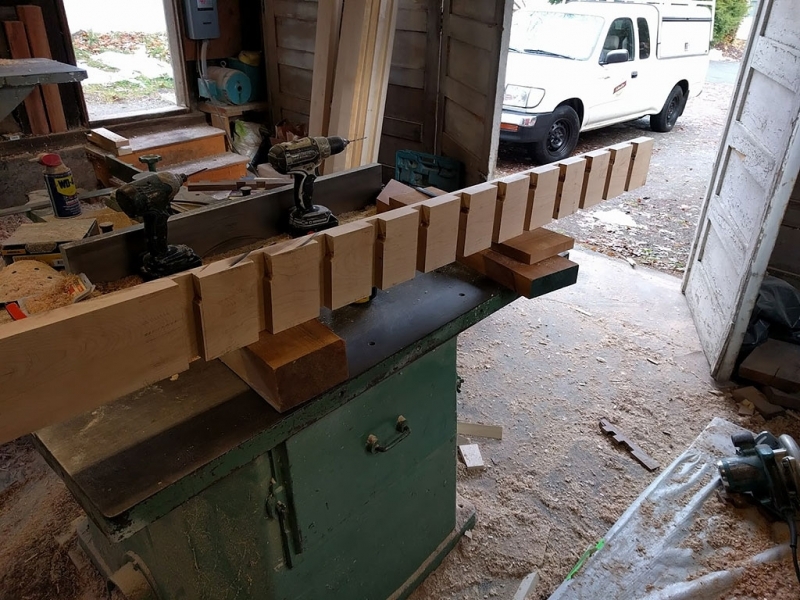 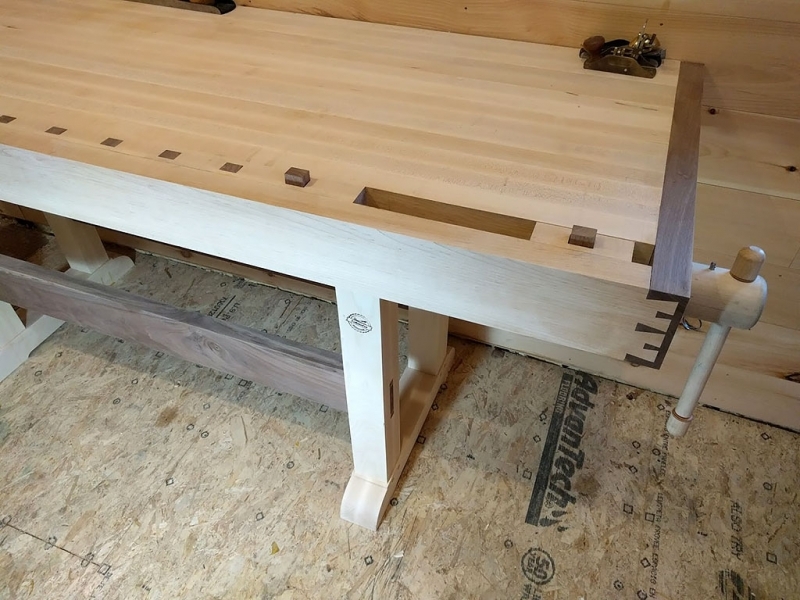 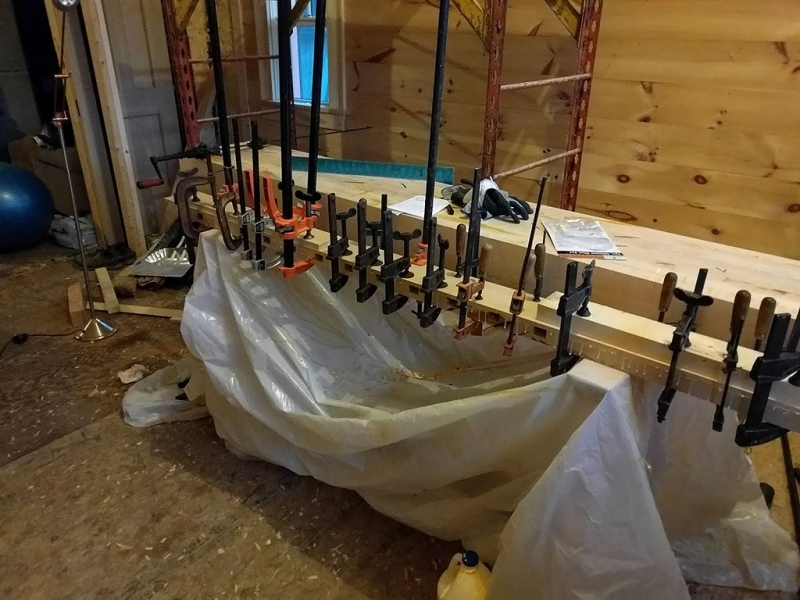 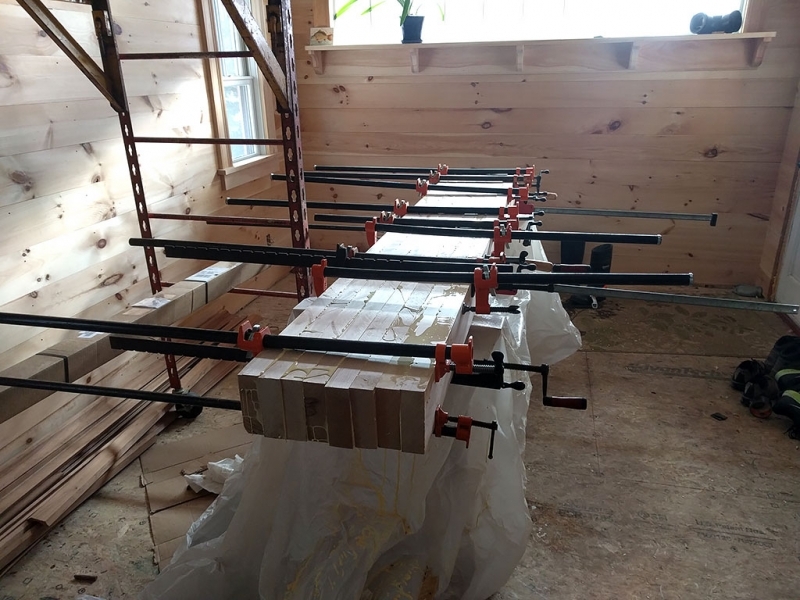 This is an incredibly beefy and rigid bench, made from hard Maple, with everything oversized to withstand the most rigorous hand planing, chisel and sawing work. 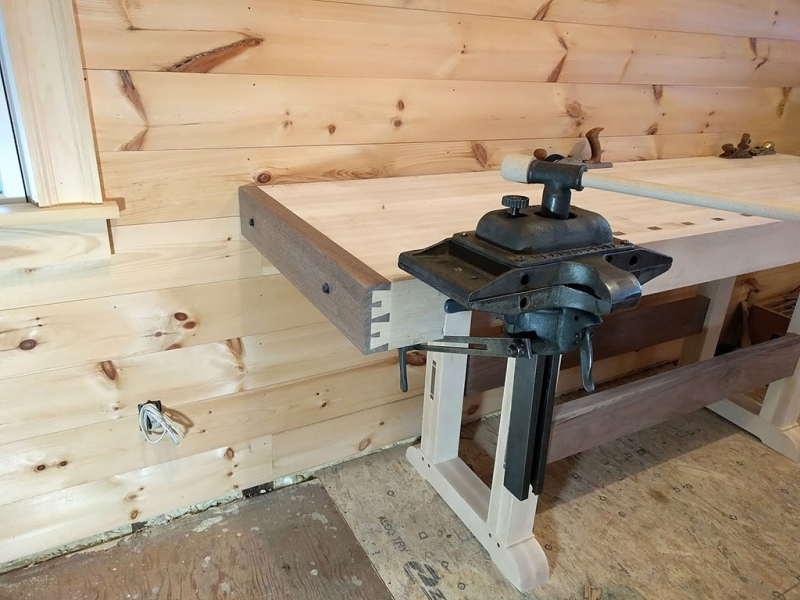 Most old traditional workbenches had tops around 1 1/2″ thick. 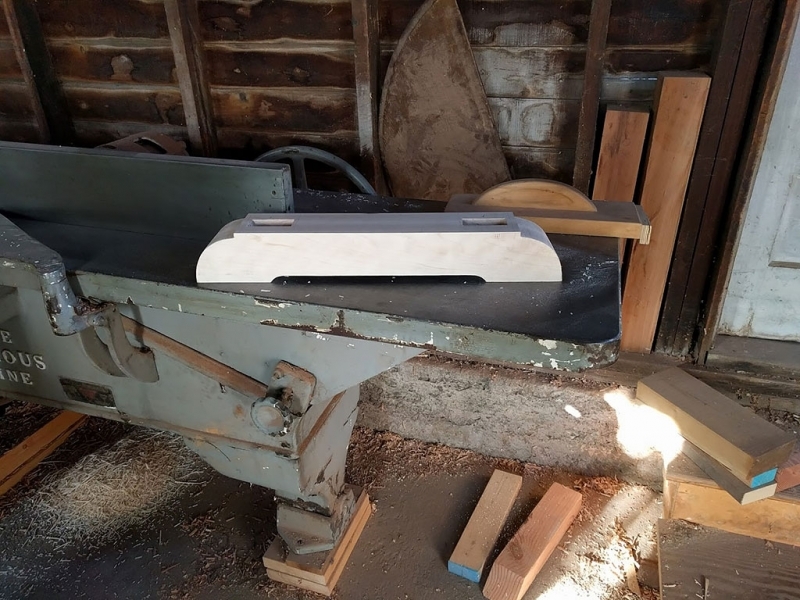 This one is 5″ thick and takes four people to move! 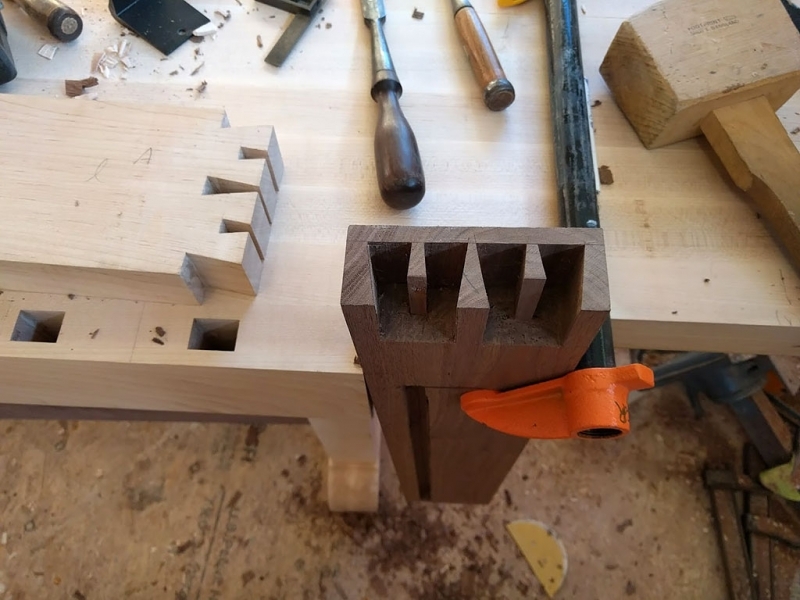 Featuring hand cut (using nothing but a saw and two chisels) “houndstooth” dovetails which join the front apron the Walnut end caps. 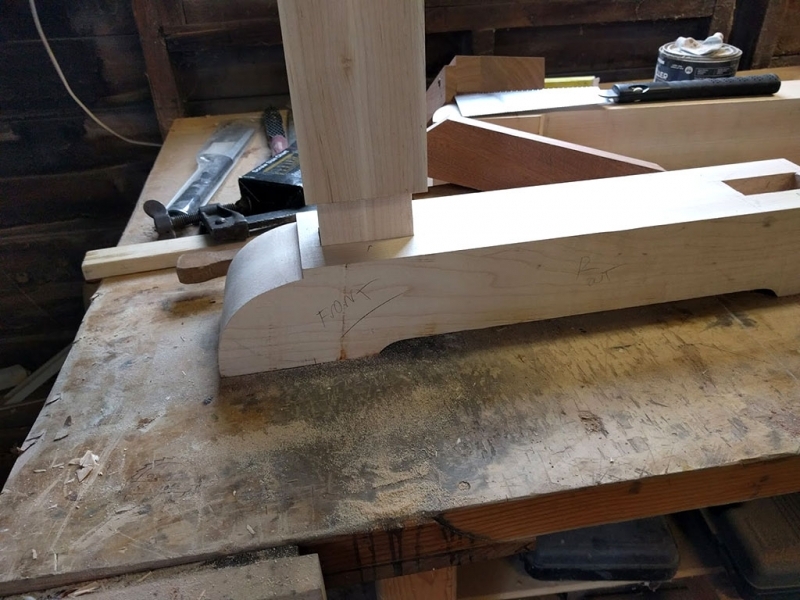 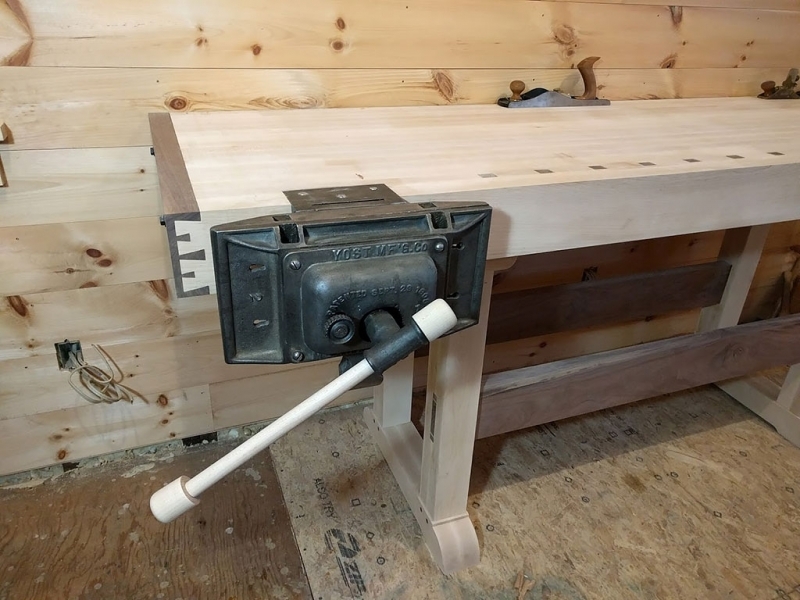 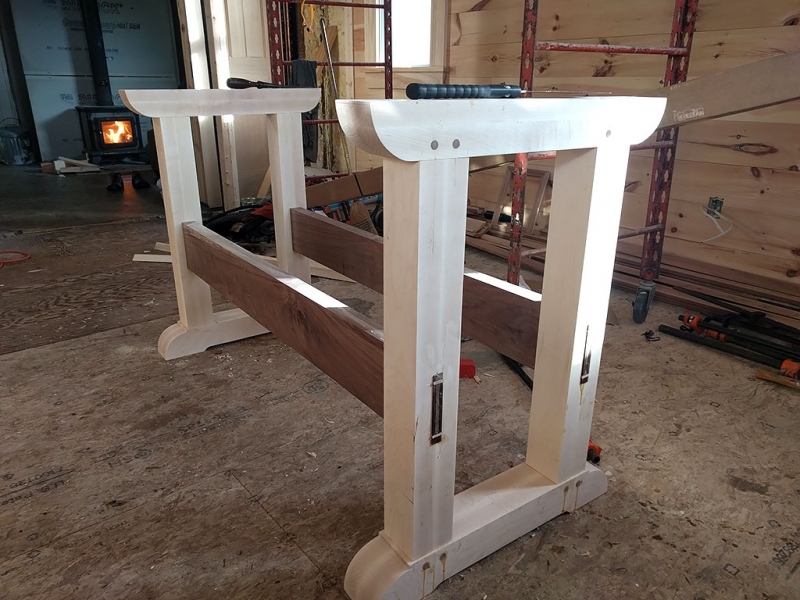 This is both a structural and an aesthetic joint, particular on the right hand corner where the dovetails resist the thrust from the Wagon vise (beautiful vise made by Hovarter Custom Vise). 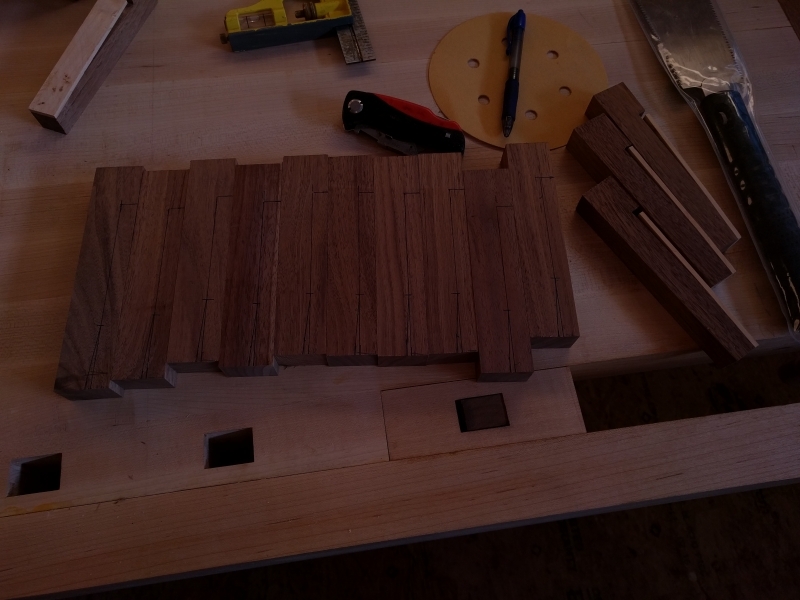 Legs are joined to trestles with hand cut, pegged mortise and tenon joints. 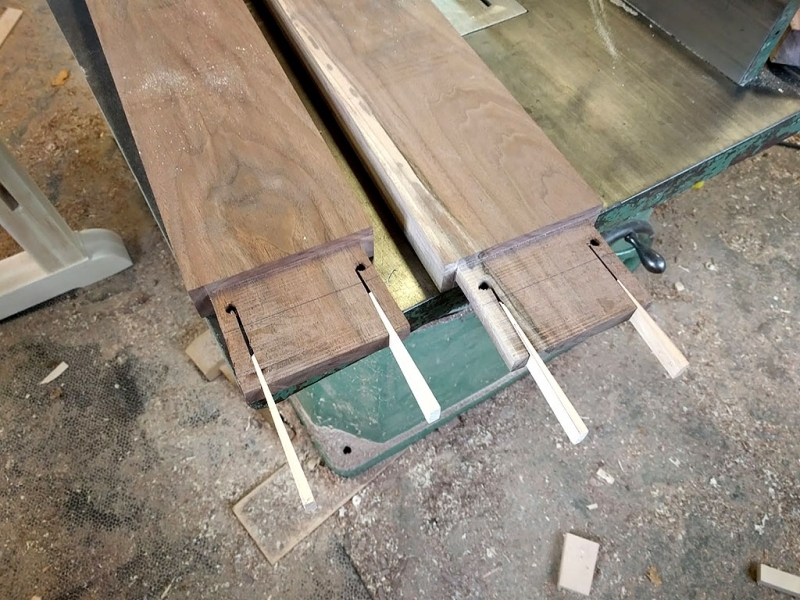 Stretches are joined with hand cut “wedged” mortise and tenons to form a mechanical lock into the legs. 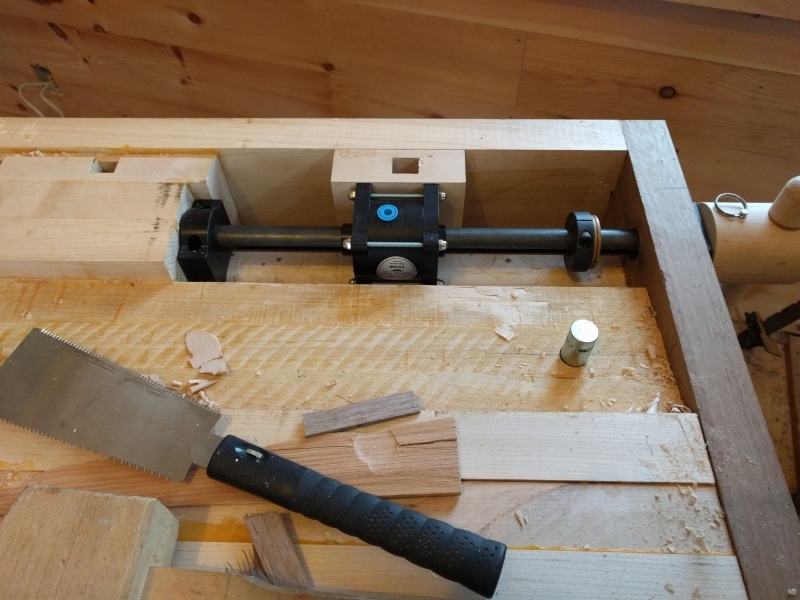 For the main vise, I sourced an antique Patternmaker’s vise made by Yost in the early 1900s. 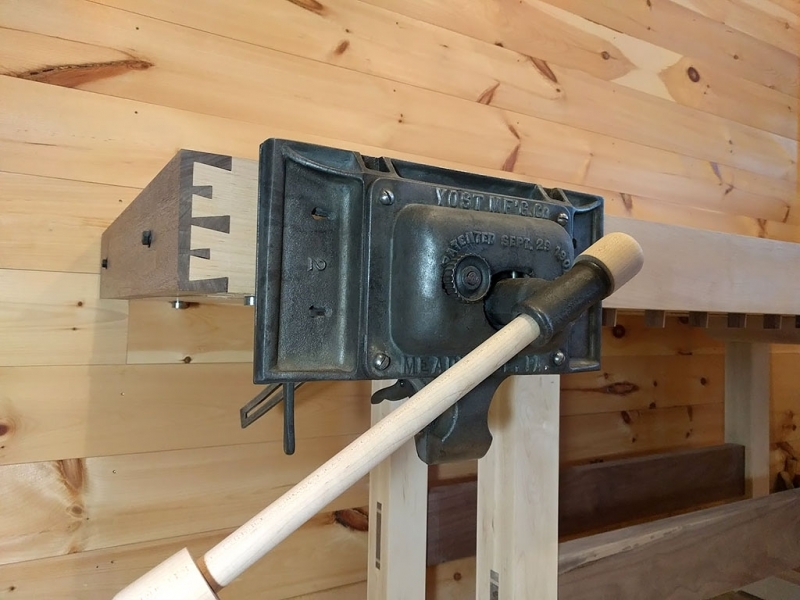 A gorgeous, extremely rugged workhorse of a vise. 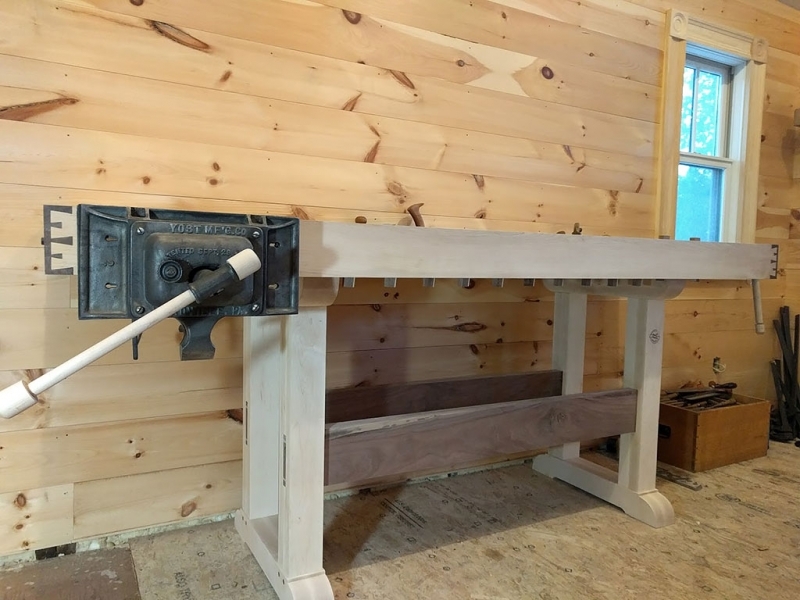 This bench is built to last many generations and I look forward to producing inspired works on it.